This super Easy Egg Yolk Pasta can be made in as little as 15 minutes. A velvety smooth pasta dough made almost entirely in the food processor. 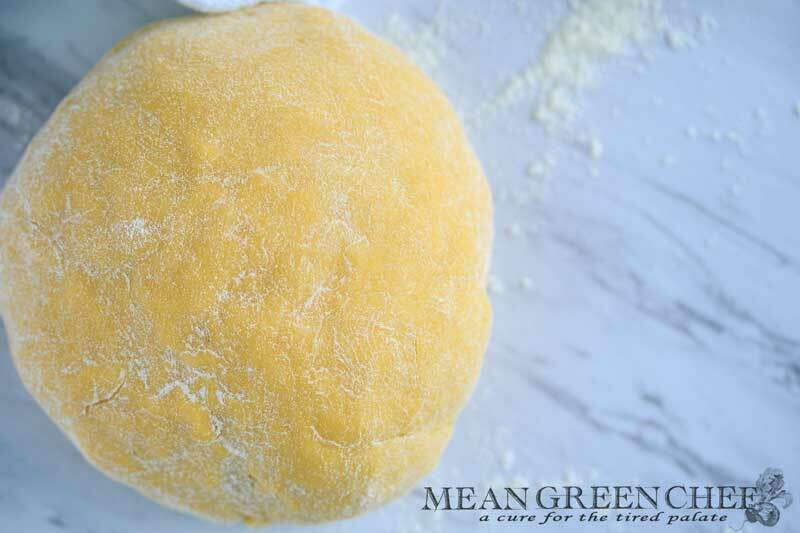 After a short rest covered on the counter, roll out the dough with a pasta machine or by hand, like grandma used to do. A very versatile recipe too, use the flour you have on hand. Using double zero flour “00” gives a soft and silken pasta that‘s a dream to handle. No “00” on hand? No worries, All-Purpose is a great choice too and has a beautiful balance of a silky, chewy noodle that stands up to any sauce. Farfalle: meaning “butterflies” in Italian, also, know as Bow Tie Pasta it‘s pinched in the middle. Perfect for: Tossing with sauce, salads, and into soups. Ideal sauces: Cheese, olive oil, and butter. Fettuccine (ours picture below): meaning “ribbons” in Italian, a flat broad noodle about 10 inches long, and 1/4 inch wide. 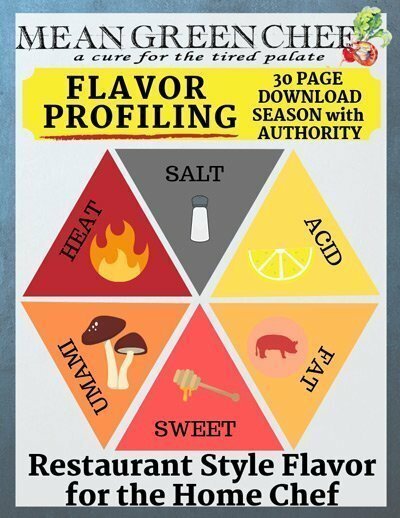 Perfect for: Tossing with sauce. Ideal sauces: Meat, cream, and cheese. Linguine: means “little tongues” in Italian, a flat broad noodle about 10 inches long and 1/8 inch wide. Perfect for: Tossing with sauce. Ideal sauces: Tomato, pesto, olive oil, and seafood. Pappardelle: meaning to “Devour” in Italian. Perfect for: Tossing with sauce. Ideal sauce: Tomato, meat, and vegetable. Orecchiette: means “little ears” in Italian. Perfect for: Tossing with sauce. Ideal sauces: Meat, cream and seafood. Pasta Water is a Secret Weapon in Sauce Creation! Pasta water is wonderful for developing sauces, adding flavor, thickening and magically bringing the pasta and sauce together. Add about 1/4 -1/2 cup of reserved pasta water to your sauce before adding the pasta. This super easy Egg Yolk Pasta can be made in as little as 15 minutes. A velvety smooth pasta dough made almost entirely in the food processor. After a short rest covered on the counter, roll out the dough with a pasta machine or by hand, like grandma used to. In a food processor, pulse together flour and salt. Add eggs, yolks, and oil and run the machine until the dough holds together. If the dough looks dry, add another teaspoon olive oil. If the dough looks wet, add a little flour until dough is tacky and elastic. Empty dough onto a work surface and knead briefly until very smooth. Wrap in plastic and rest at room temperature for 1 hour or in the fridge overnight. Cut the dough into 4 pieces, keeping them covered with plastic wrap or a dish towel when not in use. (If you’re rolling the dough out by hand, rather than using a pasta machine, cut it into 2 pieces instead.) Using a pasta roller set to the thickest (widest) setting, roll one piece of dough out into a sheet. Fold the sheet in thirds like a letter and pass it through the machine 2 more times on the same setting. We use a pasta roller and rarely go past the 6 line mark, as the pasta becomes to thin even for angel hair. As you become more familiar with the texture and workability of the dough it will become second nature. Place cut pasta on a flour-dusted sheet tray and cover with a dish towel while rolling and cutting the remaining dough. Make sure to sprinkle flour over the cut pasta before you place another layer on top. If not using immediately, cover the sheet pan with a dish towel to keep the dough pliable. Bring a large pot of well-salted water to a boil, add fresh pasta and boil for 1 to 3 minutes, depending on the thickness of the pasta. Drain well, but don’t rinse. To roll out by hand, use a rolling pin to roll each of the 2 pieces of dough out on a lightly floured surface. This may take you a little longer than using a pasta maker, but it is easy to do. Roll out until the pasta is as thin as you would like, about as thick as a penny fettuccine and pappardelle, thinner for lasagna and manicotti. Try this Egg Yolk Pasta Recipe in our Lasagna Soup, Spicy Shrimp Scampi or top off a big plate of homemade spaghetti with our Authentic Italian Red Sauce with Pork.